Prior to taking possession of any of our properties to let, it is always a requirement that references and credit checks are obtained. All our properties are let on a short assured tenancy, which is for a minimum of six months. A deposit will be due to be deposited for all of our properties to let. Following sufficient notice to quit the tenancy and a satisfactory internal property inspection, the deposit will be returned to the tenant. Any repairs that are required should be reported in the first instance to 01382 202060. The landlord is required to have sufficient buildings insurance and the tenant should have contents insurance. All tenants are responsible for notifying the gas and electrical suppliers of all changes of address and give an accurate meter reading. Tenancy Deposit Scheme (Scotland) Regulations 2011 start date 2nd July 2012. Landlords/Agents are required to hand over the Tenants Deposit to one of the approved Government Schemes who will hold the deposit until the end of the tenancy. 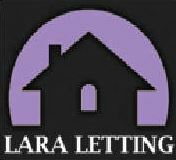 At the end of the tenancy the Landlord will agree with the Tenant on how the deposit should be allocated and advise the scheme holding the deposit. The scheme will then repay the deposit in accordance with the agreement unless there is a dispute between the parties over the deposit allocation. In the event of a dispute the scheme holding the deposit will ask for evidence from all parties as to how they feel the deposit should be allocated and the scheme will then carry out an adjudication process and issue a draft report for review by all involved. Once comments have been received then there will be a final decision and the scheme will pay out the deposit in accordance with that decision. That may mean that there may be a delay in Landlords and Tenants getting their money back.